Definition of HDL cholesterol: HDL cholesterol refers to cholesterol that is being transferred out of the body. Cholesterol is not water soluable, and so the body needs some way of transporting it in the blood. It does this by building High Density Lipoproteins (HDL) out of water soluable fats and proteins, which act to carry the cholesterol through the blood. When the liver and gall bladder treat the blood, cholesterol in the HDL carrier is seen as being unwanted and is processed out of the body. Why is HDL cholesterol the good cholesterol? Hdl cholesterol is often called the good cholesterol, as it has been found to be protective of the cardiovascular system. 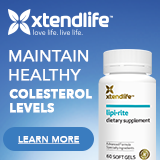 Unlike HDL cholesterol, LDL cholesterol is considered the bad cholesterol, as it can build up on blood vessel walls, which has been found to be one of the main causes of cardiovascular disease. One way of looking at the HDL cholesterol, is to see it as an express train that removes LDL cholesterol from the blood vessel walls. The more HDL you have, the more cholesterol you can keep moving off of your blood vessel walls and out of your body. HDL cholesterol also significantly decreases your risk of heart attack much better than does lowering the ldl levels. Definition of HDL cholesterol What are the foods with hdl cholesterol? FAQ for drinks and foods that will raise hdl cholesterol: What does life style have to do with HDL cholesterol? Elevated hdl cholesterol through alcohol? Is hdl cholesterol dangerous? Raising HDL cholesterol is, however, very difficult to achieve. There are very few supplements and foods that will actually raise hdl cholesterol. HDL cholesterol normally moves only slightly when on a low cholesterol diet and sometimes it is reduced along with the bad cholesterol. One should also consider using those foods and supplements that lower cholesterol naturally, to get the bad cholesterol down. Exercise is one way of raising hdl cholesterol. The more you exercise, for the most part, the more your hdl cholesterol increases. There are, however, a small number of foods, vitamins, herbs and nutritional supplements that have the ability to raise hdl cholesterol. The effect is seldom uniform - some people experience bigger gains in hdl cholesterol than others and some people experience no gains or even a lowering of their hdl level. Raising hdl cholesterol is very much a horses for courses phenomenon, you have to find what will work for you. At this point, for me, raw onions, policosanol and skim milk stand out as the first choice food sources for good cholesterol - the ones most likely to succeed for most people in raising good cholesterol. Supplements and food sources for good cholesterol are few and far between, but with any luck, they may help raise your good cholesterol slowly over several weeks or months. Raising hdl cholesterol is not the end goal, the end goal is to keep hdl cholesterol at the new higher level, which for most people, may mean taking the supplements or foods for the rest of their lives. Olive oil, when ADDED to a low cholesterol diet, increases the good HDL cholesterol. ### Skim milk increases the good hdl cholesterol, though it may not reduce LDL levels. Improvement is about 19% after three months and 31% after six months. The amount consumed is 1 quart skim milk daily. Pantethine 300mg, 2 to 4 times a day, has been found to be able to increase the good hdl cholesterol. Defatted Fenugreek seed powder has also been used to raise the amount, quantity, of the good hdl cholesterol - Dose: 25 to 50 grams daily. Scullcap - some research has suggested that it can increase the good cholesterol level aka hdl cholesterol level. Guggul can help the good cholesterol to increase by about 60% in some people. Dose: 25mg guggulsterones 3 times daily. Cholesterol test should be undertaken at the 12 week mark to check things, as Guggul can cause the bad cholesterol to increase in some people. Wild Yam for raising hdl cholesterol, the good cholesterol: 1 or 2 capsules of dried yam root is taken 3 times a day. ### Policosanol 10 to 20 mg daily - the hdl cholesterol, the good cholesterol, is increased by 7% to 29%. The beta-glucan supplement 3,000 to 15,000 mg daily. After 8 weeks, the good HDL cholesterol, that we want more of, increases by about 0% to 16%. The chitosan supplement - 3 to 6 gms daily - is able to raise hdl cholesterol by about 10% in some people. L-carnitine supplements: May raise good cholesterol, hdl cholesterol. 1,000 to 4,000 mgs daily. Results vary from person to person, for some it does not work at all. Magnesium supplements - Around 400mg daily. If you are deficient in this mineral expect your good hdl cholesterol to increase, while the ldl cholesterol to decrease, when you are supplemented. If you are not deficient and take it, it may hurt you or kill you. Doctor supervision strongly suggested. FAQ for drinks and foods that will raise hdl cholesterol. Nuts, especially walnuts and almonds for raising good cholesterol? Very questionable at this point. Most studies do not report raising hdl cholesterol by the use of almonds or any other nut. The studies do show, however, that nuts are very good at lowering cholesterol, especially the bad LDL. Do onions or yellow onions raise good cholesterol? For some people, onions do indeed appear to be helpful in raising hdl cholesterol, by about 30%, as well as in lowering the LDL level. The onions, according to Dr Victor Gurewich of Tufts University, need to be eaten raw and the onions need to be strong for maximum effect. The dose is one half medium size onion a day. Garlic appears to lower LDL, but even though it is part of the onion family, does not appear to increase HDL cholesterol. Elevated hdl cholesterol through alcohol? Alcohol in moderate amounts - like one to two standard drinks a day - has been shown to increase hdl cholesterol. Unfortunately, alcohol is a poison, frequently used to kill germs. When used in humans, alcohols side effects can include cancer, high blood pressure, alcoholism and even cardiovascular disease. So, yes you can raise hdl cholesterol using alcohol, but most medical professionals wont suggest it to you, because alcohol is dangerous, very dangerous. What are the foods with hdl cholesterol? Our digestive system would breakdown the HDL cholesterol. The hdl would be broken into it's components, and the cholesterol would be just absorbed as cholesterol. However, it does raise an interesting question, would eating food high in hdl cholesterol and low in LDL improve ones levels? There may be an answer to this in a few years, first we will need to know what the concentrations of ldl and hdl cholesterol is in the food! Also, whether it is compatible with our HDL carriers. In other words, if the food does contain HDL cholesterol, would the HDL part be broken down and remade into our own HDL carriers? By way of conjecture, going on our current knowledge, high hdl cholesterol food is unlikely to help many of us, because, for most of us, our bodies control the absorption of cholesterol from our food. What does life style have to do with HDL cholesterol? Smoking, overweight on the waste line, or even anabolic steroids can lower hdl cholesterol. A little known symptom of low hdl cholesterol are little yellowy lumps that frequently appear round the eyes. Understanding the HDL cholesterol readings and levels. Above 40 mg/dl ( above 1.00mmol/l) for normal hdl cholesterol. LDL below 129 mg/dL ( 3.31 mmol/l) is normal, while under 100 mg/dL (2.56 mmol/l) is much better. The cholesterol to hdl ratio is the standard ratio used to determine how healthy your cholesterol levels really are. The cholesterol hdl ratio is often just referred to as the cholesterol ratio. It is the ratio of your total cholesterol to your hdl cholesterol readings. The higher the HDL cholesterol is, the better the ratio. Health professionals often consider this ratio to be more important than either the total or ldl readings - especially if your total cholesterol reading is very low, they will look at the ratio to to determine if you have a problem with hdl cholesterol being too low. It is possible to have a low total cholesterol level, but a high cholesterol hdl ratio above 5:1, meaning you are at risk of coronary disease and heart attack. The goal is to increase hdl cholesterol without increasing the ldl readings in such a scenario. The cholesterol hdl and ldl ratio is not a ratio that is commonly used, as there is no real need for it. The cholesterol hdl ratio given above is the ratio normally used. The total cholesterol includes the ldl in the above ratio. Using hdl cholesterol test kits. Home tests kits for hdl cholesterol are a good idea. I prefer the Cholesterol Panel Test. It is much more expensive than the el cheapo test strips, but provides much much more information and information that is really, really accurate. Remember to fast for 12 hours before testing - no food or drink other than water. Jacques Genest, Journal of the American College of Cardiology, February, 2008: "First, naturally occurring high levels of HDL cholesterol may not protect against heart disease, and second, and herein lies the most important and provocative finding, HDL cholesterol as a therapeutic goal may be fraught with potential dangers." A study of over 8,000 people revealed that very high hdl cholesterol levels were linked to the increasing risk of major cardiovascular event. A 12-point increase in HDL cholesterol increased the risk by 21 percent. They also found apolipoprotein A-I, a major part of HDL cholesterol, is linked to a lower coronary disease, even when at high levels. As an educated guess, I would say one should keep hdl to below 65mg/dL (1.69 mmol/l).